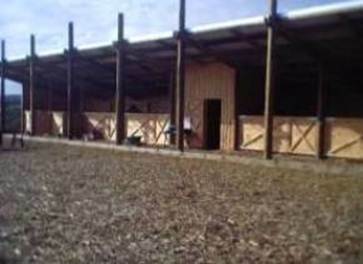 The stables, arena and lunging-pen are all available for guests to use. 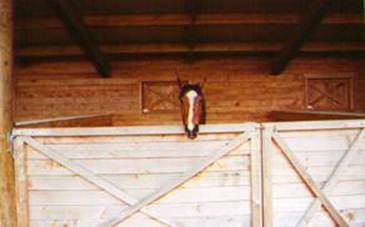 The stables are large and airy (4m x 4m) and fully lined with untreated macrocarpa. Each box has its own trough, and the compacted sandstone floor has an untreated woodshavings covering. They are suitable for both large and smaller horses. 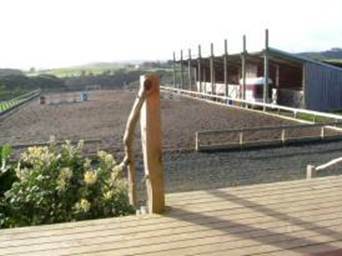 The arena is a full sized dressage arena (20m x 60m) with flood lighting for nighttime use. The surface is a sand / rubber mix making it a superior all weather surface. 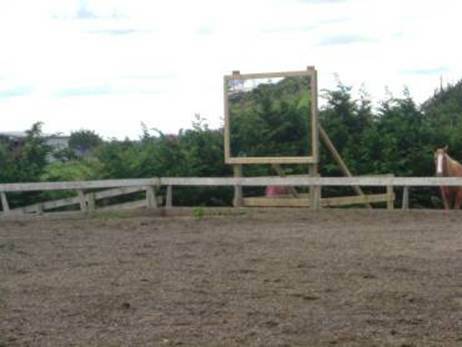 There is a selection of jumps available. 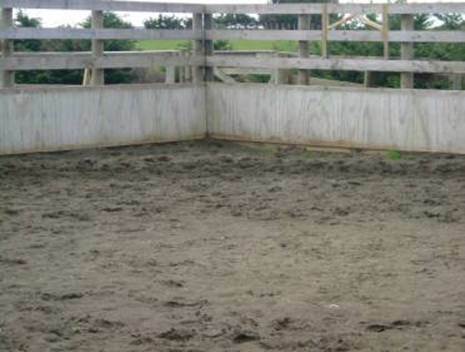 The 18m square lunging-pen has 2m high sides and a sand surface. 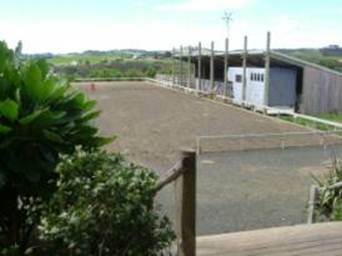 It is possible to hire this venue for riding clinics or similar. Rate: $20 per horse, per night.